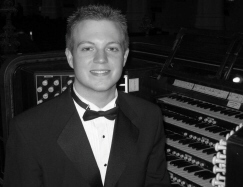 An aspiring concert organist from the Niagara Region of Ontario, Canada, Shane began studying the organ with Dr. Christiaan Teeuwsen at Redeemer University College in Ancaster, Ontario. While there, Shane also attended pipe organ camps in Canada and the USA, studying with Christopher Houlihan, Chris Creaghan, Alan Morrison, Peter Richard Conte, and Jonathan Bezdegian. In 2012, Shane was awarded the Oakes’ Family Organ Scholarship, the Niagara Chorus’ Music Scholarship, and a two-week study-scholarship to the Curtis Institute of Music in Philadelphia, PA, where he performed in the ‘Young Artist’s Recital’ series on the famous Wanamaker organ. In 2011 he spent three months in Germany where he studied early organ music with Egbert Schoenmaker. In 2015, Shane completed his B.Mus. in organ performance at McGill University, studying with John Grew and Hans-Ola Ericsson. In 2016, Shane will begin an M.Mus. degree in organ performance with Stefan Engels at Southern Methodist University in Dallas, Texas. His hope is both to become a concert organist and to teach organ at the university level. Rachel Mahon holds a Bachelor of Music degree in Organ Performance from the University of Toronto, where she studied with John Tuttle. Whilst pursuing her degree, Rachel was the Bevan Organ Scholar at Trinity College, University of Toronto as well as the Principal Organist at Timothy Eaton Memorial Church. She has won numerous awards and competitions in Canada, including one of five graduating scholarships from the Faculty of Music. 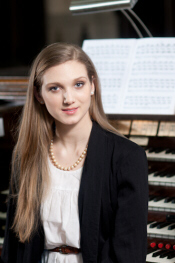 Rachel has held organ scholarships at St James Cathedral, Toronto and at Truro Cathedral, England, and is currently the William and Irene Miller Organ Scholar at St. Paul's Cathedral, London, England. She studies with Henry Fairs at the Birmingham Conservatoire. In 2012, Rachel founded the duo Organized Crime with her Canadian friend Sarah Svendsen, a former winner of this Scholarship, and the two organists aim to entertain audiences with their music and a variety of other antics; more information about their unique performances may be found at organizedcrimeduo.com. Julie Pinsonneault has a B.Mus. 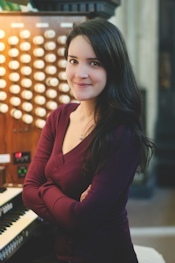 from McGill University, where she was mentored by John Grew and Hans-Ola Ericsson, and she presently serves as the organ scholar at the Church of St. John the Evangelist in Montréal. She has given many recitals in the province of Québec, including at the Cathedrals of Québec, Saint-Hyacinthe, Sherbrooke and Rimouski. She has also participated in the Festival Orgue et Couleurs and the organ music festival at the Église des Saints-Anges Gardiens de Lachine. Julie won the First Prize at the 2011 Lynnwood Farnam Organ Competition, and also took part in the 2013 Mikael Tariverdiev Organ Competition in Kaliningrad, Russia where she was awarded the Vera Tariverdieva prize for audience favourite. Julie will play at the Basilique Notre-Dame de Montréal in August 2014 as part of the Festival International des Grandes Orgues de Notre-Dame de Montréal. In September 2014, she will begin an M.Mus. in organ and musicology with Michel Bouvard at the Institut supérieur des Arts de Toulouse in France. Hailing from New Glasgow, Nova Scotia, Sarah Svendsen holds a B.Mus. in organ performance from the University of Toronto. A busy recitalist, some of Sarah's most recent engagements have included the 2012 Copenhagen International Organ Festival, the 2012 Stratford Summer Music Festival, and the Calgary Organ Symposium Young Artist's Platform. Currently studying with Dr. Patricia Wright, the Minister of Music at Toronto's Metropolitan United Church, Sarah also serves as Assistant Organist at Metropolitan United Church, and is on the Executive of the Toronto Centre of the RCCO as well as the RCCO National Strategic Planning Committee. Sarah is cofounder/ performer in Organized Crime Duo, recently featured in Toronto's Organix'13. In August 2013, she will be a Semi-Finalist in the National Organ-Playing Competition offered by the Royal Canadian College of Organists. In September 2013, she will begin an M.Mus. degree in Organ Performance at Yale University. 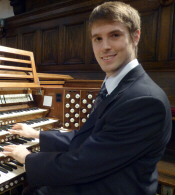 A Canadian organist from Ontario, Stephen Boda holds a Bachelor of Music degree from the University of Toronto, where he studied Organ Performance with John Tuttle, harpsichord and improvisation with Kevin Komisaruk, and conducting with Jeffrey Reynolds. During this time, he received masterclass instruction from Thomas Murray, Andres Sieling, and Todd Wilson. Stephen was an Organ Scholar at St. John the Evangelist Anglican Church in Hamilton, Ontario, and, while in university, the Peaker Organ Scholar at St. Paul's Bloor Street Anglican Church, Toronto. He has also studied piano privately with Valerie Tryon. This past year he has served as the Associate Organist at Grace Church-on-the-Hill in Toronto, accompanying both the Choir of Gentlemen and Boys and the Choir of Women and Girls. Stephen is beginning a Masters degree in organ performance at Yale University in the fall of 2012. 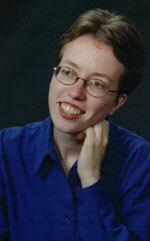 Wendy Nieuwenhuis, a Canadian organ student from Alberta, is halfway through an M.Mus. program at the University of Alberta, Canada. 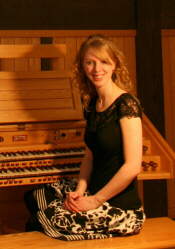 She is an active member of the Royal Canadian College of Organists as the Editor of the Edmonton Centre Newsletter, and is the co-ordinator of a weekly recital series at the University of Alberta. She is the Assistant Organist at First Presbyterian Church, Edmonton, where Marnie Giesbrecht and Joachim Segger are the Directors of Music. 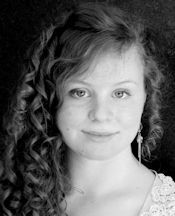 In the spring of 2012, she intends to study in Vienna with Craig Humber, himself a former winner of the Godfrey Hewitt Scholarship. Shawn Potter, a Canadian organ student from Nova Scotia, has just graduated from Mount Allison University and will begin working on his M. Mus. degree with John Grew at McGill University in the fall of 2010. He has held a Canadian Merit National Scholarship as well as the Mount Allison Bell Scholarship throughout his four undergraduate years, and has been the Organist and Choir Director of St. Andrew's Presbyterian Church, Sackville, New Brunswick, since 2008. Active in sports and community charitable activities, he has also performed a youth internship in Ghana, and has participated in many university musical activities. He is also an accomplished harpsichord continuo player, singer, trumpeter, and accompanist. 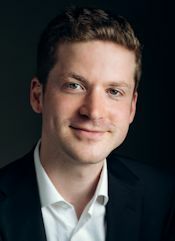 Matthieu Latreille is a Canadian graduate student from Québec who is studying at the Conservatoire de musique de Montréal, specializing in the work of Maurice Duruflé. He won the First Prize in the Concours de musique du Canada (2007) and at the Lynnwood Farnam Competition (2005) (previously the John Robb Competition). He was awarded the Prix du lieutenant gouverneur du Québec in 2005 on graduating from the Conservatoire de musique de Gatineau. He is the organist of Église Notre-Dame-de-Grâce and of the Church of Saint Augustine of Canterbury, both in Montréal. He has been presented in recital in many parts of Canada. Matthieu Latreille intends to study with Olivier Latry at the Conservatoire national supérieur de musique de Paris in the summer of 2009. 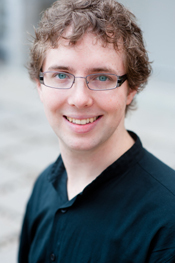 Ryan Jackson is a Canadian graduate student from Ontario who is beginning a doctoral degree in organ performance at the Juilliard School of Music in New York, where he will study with Paul Jacobs. 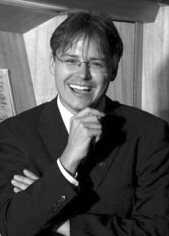 After graduating from the University of Toronto in 2006, where he was the inaugural recipient of the Tecumseh Sherman Rogers Graduating Award of $25,000, he completed the Master of Music in Organ Performance at Yale University, Institute of Sacred Music, where he was awarded the Baker Stipend. 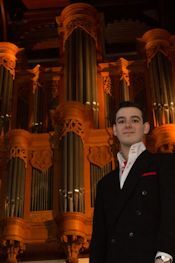 In 2005 he won the First Prize at the National Competition of the Royal Canadian College of Organists, and in 2007 he won Second Prize at the Fort Wayne National Organ Playing Competition. He has served on the National Council of the Royal Canadian College of Organists, and was the University Chapel Organist at Yale University in 2007 - 08. 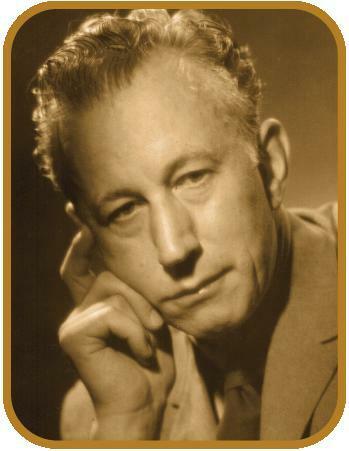 He was presented in recital at the National Convention of the Royal Canadian College of Organists in Halifax in 2006. 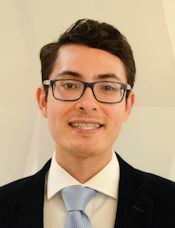 Michael Unger is a Canadian graduate student from Ontario who is working towards a doctoral degree in organ performance at the Eastman School of Music in Rochester, New York, where he studies with David Higgs. After graduating from the University of Western Ontario in 2002, where he won the Gold Medal, Michael completed a Master of Music in Organ Performance at Eastman; as well as his doctorate in organ performance, he is also presently pursuing a Master of Music in Harpsichord at Eastman. In 2006, he was a semifinalist at the national competition of the American Guild of Organists, in 2004 at the Odense International Organ Competition of Denmark, and in 2003 at the National Competition of the Royal Canadian College of Organists; in 2002, he won the first prize in the Association of Canadian Choral Conductors Composition Competition. He has appeared in recital in many parts of the united States and Canada, as well as in Denmark. He has been the Director of Music at South Presbyterian Church, Rochester, since 2002. During the summer of 2007, he will be attending organ and harpsichord academies in Italy, Germany, and Sweden. Isabelle Demers is a Canadian graduate student from Québec who is beginning a doctoral programme in organ performance at the Juilliard School in New York 2006. After graduating from the Conservatoire de musique de Montréal in 2003, where she studied with Jean LeBuis and Regis Rousseau, Ms. Demers went to New York to earn an M.Mus. in organ performance at the Juilliard School, studying with Paul Jacobs. In 2005, she was the third-prize-winner of both the Royal Canadian College of Organists National Organ Playing Competition and the Miami International Organ Competition, where she also won the Audience Prize, and she was also a finalist in the Dublin International Organ Competition. In 2003 she was awarded a Canada Council for the Arts Grant for Professional Classical Musicians (Emerging Artists). She has played recitals in Italy, the Czech Republic, Paris, and Bucharest, as well as in many places in Canada and the eastern United States. 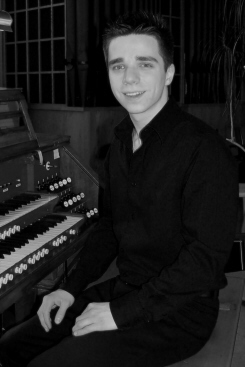 Craig Humber is a Canadian graduate student from Newfoundland who plans to continue his organ studies with Michael Radulescu in Vienna in 2005 - 2006. After graduating from Acadia University in 1999, he studied for five years at the Hochschüle in Leipzig with Arvid Gast and Tobias Schade. In 2000, the Royal Canadian College of Organists awarded him the John Goss Scholarship for advanced organ studies outside Canada. In 2002 and 2004, he was awarded a Canada Council for the Arts Grant. In 2003, he was the first-ever North American prizewinner at the Gottfried Silber-mann International Organ Competition in Freiberg, Germany. He has played recitals and has been broadcast in Austria, Germany, and Holland, as well as in Canada.